To Cite: Asgharzadeh A, Khoshnood N. Evaluating the Safety and Efficacy of Discogel in the Treatment of Herniated Lumbar Disc: A Systematic Review, Health Tech Asmnt Act. 2017 ; 1(1):e62329. doi: 10.5812/htaa.62329. Context: According to WHO statistics, low back pain (LBP) is one of the main causes of disability and problems related to the quality of life in developing and developed countries. Lumbar disc herniation (LDS) is the most common cause of LBP. The goal of this study was to examine the safely and effectiveness of DiscoGel® in the treatment of lumbar disc herniation or sciatica caused by it. Methods: To assess the clinical effectiveness and safety of the interventions, first the relevant keywords were specified (i.e. DiscoGel®, DiscoGel® chemonucleolysis, minimally invasive percutaneous technique, RGE, radiopaque gelified ethanol, discal lumbosciatica, chronic discogenic low back pain, lumbar, and cervical intervertebral disk herniations); then, related databases were searched up to 02/02/2017 based on the specified search strategy (Cochrane Library, Ovid MEDLINE, Embase, PubMed, Clinicaltrials.gov) and clinical trials as well as cohorts were examined. In addition to extracting intended outcomes (reduction in pain and side effects), a qualitative analysis of the data was performed to examine the safety and effectiveness indices. Results: The systematic review reached 9 relevant articles, which were on the 2b level on the Oxford CEBM levels of evidence. The results of the study, which involved 772 patients, indicated the safety of the intervention and its effectiveness in reduction of pain and side effects; the intervention led to good clinical outcomes (in some cases, even at very early stages after treatment) due to its low invasiveness. It can be argued that DiscoGel® is safe and effective as a new minimally invasive procedure to treat sciatica caused by the herniated lumbar disc and can be used as a substitute for invasive surgery in unsuccessful medical treatments. Conclusions: It seems that the percutaneous treatment of vertebral disc leads to better and longerlasting clinical outcomes (pain relief and mobility) compared to noninvasive methods. In addition, noninvasive techniques are significantly more effective and have fewer side effects compared to various surgical options. As a result, these techniques can be suggested as initial treatments or as alternatives to surgery for the treatment of cervical spine and lumbar hernia. However, due to limited sample size and the type of studies, it is necessary to conduct randomized clinical trials to confirm these results. Pain due to spinal pathology has a worldwide lifetime prevalence of 54% - 80% and an annual prevalence of 15% - 45% (1). Generally, lumbar disc herniation (LDH) is considered the main cause of low back pain (LBP) (2). According to the WHO statistics, LBP is the most common cause of disability and problems related to the quality of life in developed and developing countries (3). Lifetime prevalence of low back pain (LBP) and sciatica is reportedly 70% - 90% of the general population (4, 5), and disc-related pain is reported to cause sciatica or back pain (6). Recurrent sciatica following LDH has significant personal and social costs (7, 8). There are different treatments for LDH, including medication, physical therapy, injection, and alternative interventions. However, there is not enough evidence on the extent which each of these methods has a permanent or temporary effect (9). Surgical and non-surgical treatment of herniated disc has dramatically increased over the past 40 years (10, 11). In 1934, Mixter and Barr were the first to surgically treat LDH (12). Percutaneous treatments for LHD can be classified into 4 main categories: mechanical, thermal, chemical decompression, and biomaterials implantation (13). These imaging-guided, minimally invasive techniques include percutaneous laser disk decompression, nucleoplasty, percutaneous disc decompression, ozonotherapy, and DiscoGel® (14). DiscoGel® is a chemonucleolytic agent introduced for the first time in 2007 by Theron et al. containing ethyl alcohol, a cellulose derivative product, added to a radiopaque element (tungsten), causing dehydration of the nucleus pulposus and resulting in disk herniation retraction (15, 16). DiscoGel® is a class III intradiscal medical device and is injected into the nucleus pulposus to reduce intradiscal pressure. The presence of cellulose, which is a gelling agent, limits the risk of epidural leaks that may occur with pure ethanol (16-18). This procedure is used in the treatment of small to medium disc herniation confirmed by Magnetic resonance imaging (MRI) (19), back pain of discogenic origin or sciatica (20), specific dermatomal pain distribution (21), neurologic findings referring to a single nerve root in-volvement (e.g. decreased tendon reflex, sensation, and motor response) (22), no significant improvement after conservative therapy (23), as well as reproduction of the patient's usual pain in cases where provocative discography is performed prior to any percutaneous intervertebral disc ablative technique (19). Absolute contraindications include: sequestered (free) disk fragment (20), segmental instability (spondylolisthesis) (24), stenosis of neural foramen or spinal canal (25), asymptomatic inter-vertebral disc bulging (20), untreated infection and/or discitis (23), and pregnancy (19). Relative contraindications include: hemorrhagic diathesis (should be corrected before the operation) (26), anticoagulant therapy (must be interrupted before the operation) (27), severe degenerative disc disease with more than 2/3 of disk height reduction (28), and having a history of intervertebral disc operation at the same level (24). Surgery is considered the treatment of choice for extruded, migrated, and free fragment herniated disc (29), with a short-term success rate of approximately 85% - 90%, which decreases to around 80% in the long term (more than 6 months) due to failed back syndrome (30). Long term consequences, complications, and sometimes less favorable outcomes of disc surgery have led to the development of minimally invasive therapies (14). The outcomes of minimally invasive percutaneous techniques depend on the characteristics of a hernia itself and on the chosen technique. These techniques are a valuable alternative to surgical intervention with lower cost, fewer complications, and easy feasibility. In case of failed treatment, all these techniques can be reproduced one more time without preventing surgery at a later date (31). Through a systematic review, the present study examines the safety and effectiveness (pain relief and reduction of side effects) of DiscoGel® in the treatment of patients with herniated lumbar disk or sciatica. This study is a systematic review that includes all clinical trials and cohort studies aimed at assessing the safety and effectiveness of DiscoGel® compared to other treatments for patients with LDH or LBP. The review is conducted based on the predefined PRISMA protocol. The most relevant and most important medical databases, including Cochrane Library, Ovid MEDLINE, Embase, PubMed, and clinicaltrials.gov were systematically searched up to 02/02/2017. In addition to examining the references of the identified articles, a manual search of websites associated with this technology was performed expert opinion was used when necessary. Free text and MeSH terms were used in searching databases. Some of the keywords were: discal lumbosciatica, herniated disc, lumbar disc herniation, cervical disk herniation, DiscoGel®, radiopaque gelified ethanol, ethylcellulose, DiscoGel® chemonucleolysis, minimally invasive percutaneous technique, and percutaneous intradiscal techniques. All RCT, CCT, and cohort studies were included, while animal studies and studies on healthy patients were removed from the list. Due to limited resources and time, only English and Persian articles were used. The titles and abstracts of the articles were examined by the first reviewer based on certain criteria (i.e. design, language, and human samples), and the second reviewer reexamined the articles in case of any ambiguity. The full text of the articles approved at this stage was reviewed and a centre for reviews and dissemination (CRD) checklist was used to extract their data. Again the second reviewer's comments were used to resolve any ambiguity. Finally, the total number of patients evaluated during treatment was obtained. Age grouping was used to remove overlapping studies, and when necessary, the authors of articles were consulted to ensure differences in the source of their data. The quality of the studies was evaluated based on the Cochrane checklist for clinical trials and cohort studies. This checklist consists of 8 items that are rated on a 4-point scale and quality is assessed based on the number of positive responses. Article quality was also reported based on the Oxford CEBM (Centre for Evidence-based Medicine) levels of evidence. Pain relief is examined as a measure of effectiveness and reduction of side effects is examined as a measure of safety. Due to the heterogeneity of the studies and the different criteria used for measuring outcomes, it was impossible to use quantitative meta analysis and the results were analyzed qualitatively. A total of 177 articles were obtained by searching the databases. After reviewing the title of the articles and removing the duplicates, the full text of 25 studies were examined. Finally, 9 articles were included in the study. The obtained data are the results of clinical trials as well as a cohort and observational studies. Studies were screened based on the PRISMA flow diagram (Figure 1). Articles included in this review have examined the safety and effectiveness of DiscoGel® in relieving pain and minimizing side effects. A total of 772 patients were included in our analysis, all of whom had either back pain or sciatica. Age groups were also identified. The characteristics of each article are shown in Table 1. In addition to assessing the quality of articles based on the checklist, different types of bias (selection, performance, attrition, and detection) were also examined. Blinding and randomization were not considered in clinical trials. In addition, cohort studies did not control for confounding variables, thus increasing the likelihood of bias. Of a total of 9 studies that were evaluated, 8 studies had average quality and 1 study was of low quality. The articles were on level 2b in the Oxford CEBM Levels of evidence. Each of the 9 articles included in this study has used different criteria to examine pain reduction. The results show that DiscoGel® is often used to treat L5-S1, L4-L5, and L3- L4 and has been effective. Moreover, in some cases, it has shown good results in the treatment of cervical herniated disk. It must be noted that the DiscoGel® dose used to treat lumbar disc herniation is about 0.4 - 1.6 mL and for cervical disc herniation about 0.2 ml, with a post-treatment follow-up period of 3 to 18 months. The results indicated no recurrence of pain in this period. Overall, percutaneous treatment techniques for intervertebral disc herniation lead to better and longer lasting clinical outcomes (pain relief and mobility) compared to noninvasive techniques. In addition, there was a significant difference in the effectiveness of these techniques compared to different surgical op-tions. A total of 8 out of 9 articles in this review provided results about this index, showing that percutaneous techniques could be a good alternative for treatment of disc herniation compared to surgical operations in patients with lumbar pain and sciatica. All percutaneous techniques have a low rate of complications and easy feasibility. These techniques do not require a long hospital stay and in case of failed treatment, they can be reproduced 1 more time without preventing surgery at a later date. It can be said that percutaneous chemonucleolysis using ethanol gel is a safe outpatient procedure that may obviate the need for spinal surgery in many patients with disc related sciatica refractory to conservative treatment. The present study was a systematic review that studies the safety and effectiveness of DiscoGel® treatment for patients with LDH or sciatica. Pain relief was examined as a measure of effectiveness and reduction of side effects as a measure of safety. Analysis of the results shows that DiscoGel® is a safe and effective technique. In reviewed studies, this treatment has often been effective in the treatment of LDH. Moreover, in some cases, it has shown good results in the treatment of cervical herniation. It must be noted that the post treatment follow-up period in these studies has been from 3 to 18 months. The results indicated no recurrence of pain during this period. However, more controlled studies are needed to examine the longer term effects of this type of treatment. A lumbar herniated disc is the most common reason for spine surgery (38-40). However, over the past few decades, a number of minimally invasive techniques have been used to treat this condition, which has had different outcomes (15, 41, 42). Intradiscal injection of DiscoGel® (gelified ethanol) is so far the only method that can be used in cases with segmental instability (15, 43). This technique alleviates the nerve root compression caused by herniation (44). DiscoGel®, a radiopaque gelified ethanol, has the same chemical characteristics as absolute alcohol but presents 2 additives: ethylcellulose, which makes the alcohol solution more viscous turning it into a gel, which is much easier to control, and tungsten, which makes the product radiopaque and as a result the injection site and the amount of gel injected can be monitored in real time by radioscopy with no need for preliminary discography. Tungsten also allows excellent gel visibility at CT examination (38). Treatment with DiscoGel® indicate has proven to be effective in preventing the development of pain, and the lack of complications related to ethanol leakage outside the disc in our study confirms that DiscoGel® is safe and easy to use (32). This minimally invasive procedure is effective in the treatment of sciatica and can be used as an alternative to invasive surgery in failed medical treatments (17). Due to its minimal invasiveness, this technique is safe for both CDH and LDH patients, while minimizing complications and providing good clinical outcomes (in some cases, even at very early stages after treatment) (33, 34). In addition, this technique can compete with surgery and other noninvasive techniques such as acupuncture in terms of the number of therapy sessions (13). Percutaneous intradiscal techniques provide treatment for discogenic lumbosciatica, a common disorder in patients between 30 and 40 years old, which is less invasive than surgery (45). Percutaneous chemonucleolysis using ethanol gel (PCEG) is feasible on an outpatient basis and its failure does not interfere with subsequent spinal surgery (35). It is low cost therapy, does not entail a long hospital stay, and does not exclude the possibility of surgery in case of failed treatment. This technique may be considered in properly selected patients with conservative therapy resistant pain due to small and medium size hernias of the intervertebral disc before recourse to open surgery. Further studies in the larger double blind sample is needed to confirm our data (36). The use of RGE shows promising results and might be a feasible and safe alternative in the treatment of cervical disc hernias (37). The success rate of DiscoGel® chemonucleolysis in patients unresponsive to ozonotherapy has also been satisfactory. This technique can be deemed an intermediate procedure bridging conservative medical treatments and surgery. However, it must be noted that the procedure is more expensive than ozonotherapy (32). The results showed that intraoperative complications in DiscoGel® treatment are related to the technique itself as well as the instrumentation (e.g., trocar or catheter breakage, nerve root injury) (27). Discitis is the most common complication of percutaneous disc compression tech-niques, occurring in up to 0.24% per patient and 0.091% per disc of patients followed by epidural abscess (46-48). Less frequent complications of this technique include reflex sympathetic dystrophy, puncture of thecal sac with accompanying headache, hemorrhage and neurologic injury, allergic reactions to any of the agents used during the procedure, as well as pneumothorax (22). Ideal candidates do not belong in the most severe surgical disc disease spectrum; therefore, a 4 - 6 weeks course of noninvasive treatment should be the first step (20). Preoperative imaging planning begins with plain films of the spinal column (28), which provide information about spinal bony elements and vertebral misalignment, thus excluding other potential causes of pain (49). In addition, a MRI should be systematically performed before any action is taken, and computed tomography may be performed for a more thorough bone evaluation (28). In terms of post-procedure care, hospitalization is not necessary for the absence of complications. Non-steroid anti-inflammatory drugs and muscle relaxants are optional and practice differs at each center. A follow-up phone call is performed the next morning following disc decompression and the patient is clinically examined in 1 week (19, 50). Post-procedure restrictions include rest during the first few days after the procedure while avoiding a prolonged sitting position. Heavy lifting, twisting, bending forward, and strenuous physical activity are not permitted during the first post procedure period. One week after the procedure, the patient may perform routine tasks, while in the second week walking and exercise may begin. Weightlifting is allowed after 3 months (23). The main purpose of percutaneous interventions for treating a herniated disc is to alleviate intradiscal pressure and reduce nerve root irritation (51). These interventions are efficient (75% - 94% success rate) and safe (> 0.5% mean complications rate) therapies for the treatment of symptomatic intervertebral disc herniation. In addition, proper patient selection enhances safety and effectiveness rates (43). In sum, percutaneous techniques can be good alternatives for surgery for the treatment of disc herniation for patients with back pain and sciatica. All percutaneous techniques have low complication rates and efficacy (38). - Unfeasibility of following up with patients over different time periods, which necessitates the analysis of data from studies with small samples over short periods of time. It seems that decompression techniques lead to better and longer lasting clinical outcomes (pain reduction and enhanced mobility) compared to noninvasive methods. In addition, these methods are significantly more effective than various surgical options and present the least number of side effects. As a result, percutaneous intradiscal techniques can be suggested as an initial treatment or an attractive substitute for surgery for the treatment of a cervical and lumbar disc herniation. It must be noted that development of standard clinical guidelines is crucial to the application of these techniques. It is also noteworthy that these techniques are effective for cases that are unresponsive to noninvasive treatments. While some studies have found these techniques to have similar results to ozonotherapy and chymopapain, they highlight the lack of allergic complications in percutaneous techniques. On the other hand, most studies have excluded pregnant patients and those with systemic infections, inflammation, and/or previous spine surgery. Thus, the result cannot be generalized to these groups. Moreover, these techniques cannot be used when there is evidence of calcified herniation or free disc fragments. Another consideration is the need for CT or MRI that must be taken into account in the economic evaluation of this intervention. This study has been conducted with the financial support of IR Iran national institute of health research, Tehran University of Medical Sciences. 1. Filippiadis DK, Kelekis A. A review of percutaneous techniques for low back pain and neuralgia: current trends in epidural infiltrations, intervertebral disk and facet joint therapies. Br J Radiol. 2015;89(1057):20150357. 2. Campbell P, Wynne-Jones G, Muller S, Dunn KM. The influence of employment social support for risk and prognosis in nonspecific back pain: a systematic review and critical synthesis. Int Arch Occup Environ Health. 2013;86(2):119-37. doi: 10.1007/s00420-012-0804-2. [PubMed: 22875173]. 3. Hoy DG, Smith E, Cross M, Sanchez-Riera L, Buchbinder R, Blyth FM, et al. The global burden of musculoskeletal conditions for 2010: an overview of methods. Ann Rheumat Dis. 2014;73(6):982-9. 4. Andersson GBJ. Epidemiological features of chronic low-back pain. Lancet. 1999;354(9178):581-5. doi: 10.1016/s0140-6736(99)01312-4. 5. Kennedy M. IDET: a new approach to treating lower back pain. Official Pub State Med Soc Wisconsin. 1998;98(6):18-20. 6. Manchikanti L, Singh V, Pampati V, Damron KS, Barnhill RC, Beyer C, et al. Evaluation of the relative contributions of various structures in chronic low back pain. Pain Phys. 2001;4(4):308-16. 7. Valat JP, Genevay S, Marty M, Rozenberg S, Koes B. Sciatica. Best Pract Res Clin Rheumatol. 2010;24(2):241-52. doi: 10.1016/j.berh.2009.11.005. [PubMed: 20227645]. 8. Kamper SJ, Ostelo RWJG, Rubinstein SM, Nellensteijn JM, Peul WC, Arts MP, et al. Minimally invasive surgery for lumbar disc herniation: a systematic review and meta-analysis. Eur Spine J. 2014. doi: 10.1007/s00586-013-3161-2. 9. Pearson AM, Lurie JD. Surgical versus nonoperative treatment: how do we choose the right approach to lumbar disk herniation? Pain Manag. 2014;4(4):247-9. doi: 10.2217/pmt.14.28. [PubMed: 25300379]. 10. Fernandez M, Ferreira ML, Refshauge KM, Hartvigsen J, Silva IR, Maher CG, et al. Surgery or physical activity in the management of sciatica: a systematic review and meta-analysis. Eur Spine J. 2016;25(11):3495-512. doi: 10.1007/s00586-015-4148-y. [PubMed: 26210309]. 11. Sonntag VK. Treatment of the herniated lumbar disc: persistent problem. World Neurosurg. 2010;74(6):574-5. doi: 10.1016/j.wneu.2010.08.006. [PubMed: 21492621]. 12. Mixter WJ, Barr JS. Rupture of the Intervertebral Disc with Involvement of the Spinal Canal. N England J Med. 1934;211(5):210-5. doi: 10.1056/nejm193408022110506. 13. Pardatscher K, Volpentesta G, Bombardieri C, Giaquinta A. Percutaneous treatment of lumbar intervertebral disc hernias with discogel. Neuroradiol J. 2011;24(4):627-35. doi: 10.1177/197140091102400420. [PubMed: 24059722]. 14. Magalhaes FN, Dotta L, Sasse A, Teixera MJ, Fonoff ET. Ozone therapy as a treatment for low back pain secondary to herniated disc: a systematic review and meta-analysis of randomized controlled trials. Pain Physician. 2012;15(2):E115-29. [PubMed: 22430658]. 15. Kelekis AD, Filippiadis DK, Martin JB, Brountzos E. Standards of practice: quality assurance guidelines for percutaneous treatments of intervertebral discs. Cardiovasc Intervent Radiol. 2010;33(5):909-13. doi: 10.1007/s00270-010-9952-5. [PubMed: 20676639]. 16. Theron J, Guimaraens L, Casasco A, Sola T, Cuellar H, Courtheoux P. Percutaneous treatment of lumbar intervertebral disk hernias with radiopaque gelified ethanol: a preliminary study. Clin Spine Surg. 2007;20(7):526-32. 17. Leglise A, Lombard J, Moufid A. DiscoGel(R) in patients with discal lumbosciatica. Retrospective results in 25 consecutive patients. Orthop Traumatol Surg Res. 2015;101(5):623-6. doi: 10.1016/j.otsr.2015.05.007. [PubMed: 26215088]. 18. Guarnieri G, De Dominicis G, Muto M. Intradiscal and intramuscular injection of discogel((R)) - radiopaque gelified ethanol: pathological evaluation. Neuroradiol J. 2010;23(2):249-52. doi: 10.1177/197140091002300216. [PubMed: 24148546]. 19. Fenton DS, Czervionke LF, Fenton DS. Image-guided spine intervention. Philadelphia: Saunders; 2003. 20. Gibby W. Automated percutaneous discectomy. Handbook of diagnostic and therapeutic spine procedures. St Liouis: Mosby; 2002. 21. Onik G, Mooney V, Maroon JC, Wiltse L, Helms C, Schweigel J, et al. Automated percutaneous discectomy: a prospective multi-institutional study. Neurosurgery. 1990;26(2):228-32. discussion 232-3. [PubMed: 2407968]. 22. Gangi A, Dietemann JL, Ide C, Brunner P, Klinkert A, Warter JM. Percutaneous laser disk decompression under CT and fluoroscopic guidance: indications, technique, and clinical experience. Radiographics. 1996;16(1):89-96. doi: 10.1148/radiographics.16.1.89. [PubMed: 10946692]. 23. Anthes JC, Gilchrest H, Richard C, Eckel S, Hesk D, West RJ, et al. Biochemical characterization of desloratadine, a potent antagonist of the human histamine H(1) receptor. Eur J Pharmacol. 2002;449(3):229-37. [PubMed: 12167464]. 24. Masala S, Massari F, Fabiano S, Ursone A, Fiori R, Pastore F, et al. Nucleoplasty in the treatment of lumbar diskogenic back pain: one year follow-up. Cardiovasc Intervent Radiol. 2007;30(3):426-32. doi: 10.1007/s00270-006-0223-4. [PubMed: 17278033]. 25. Ditsworth DA. Endoscopic Transforaminal Lumbar Discectomy and Reconfiguration: A Postero-lateral Approach into the Spinal Canal. Surg Neurol. 1998;49(6):588-98. doi: 10.1016/s0090-3019(98)00004-4. 26. Schwarzer AC, Aprill CN, Derby R, Fortin J, Kine G, Bogduk N. The prevalence and clinical features of internal disc disruption in patients with chronic low back pain. Spine (Phila Pa 1976). 1995;20(17):1878-83. [PubMed: 8560335]. 27. Boswell MV, Trescot AM, Datta S, Schultz DM, Hansen HC, Abdi S, et al. Interventional techniques: evidence-based practice guidelines in the management of chronic spinal pain. Pain Physician. 2007;10(1):7-111. [PubMed: 17256025]. 28. Gallucci M, Limbucci N, Paonessa A, Splendiani A. Degenerative disease of the spine. Neuroimaging Clin N Am. 2007;17(1):87-103. doi: 10.1016/j.nic.2007.01.002. [PubMed: 17493541]. 29. Blamoutier A. Surgical discectomy for lumbar disc herniation: surgical techniques. Orthop Traumatol Surg Res. 2013;99(1 Suppl):S187-96. doi: 10.1016/j.otsr.2012.11.005. [PubMed: 23352565]. 30. Singh V, Piryani C, Liao K, Nieschulz S. Percutaneous disc decompression using coblation (nucleoplasty) in the treatment of chronic discogenic pain. Pain Physician. 2002;5(3):250-9. [PubMed: 16902650]. 31. van Tulder MW, Koes BW, Bouter LM. Conservative treatment of acute and chronic nonspecific low back pain. 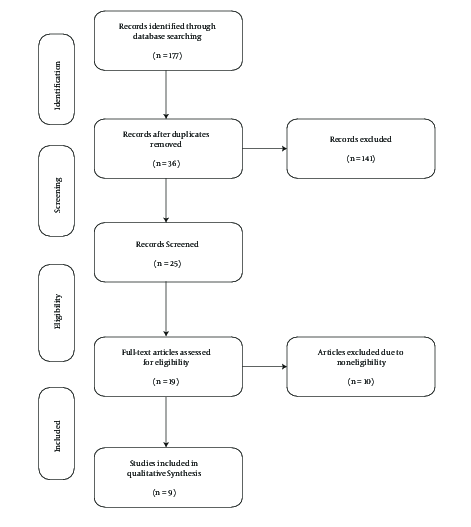 A systematic review of randomized controlled trials of the most common interventions. Spine (Phila Pa 1976). 1997;22(18):2128-56. [PubMed: 9322325]. 32. Stagni S, de Santis F, Cirillo L, Dall'olio M, Princiotta C, Simonetti L, et al. A minimally invasive treatment for lumbar disc herniation: DiscoGel(R) chemonucleolysis in patients unresponsive to chemonucleolysis with oxygen-ozone. Interv Neuroradiol. 2012;18(1):97-104. doi: 10.1177/159101991201800113. [PubMed: 22440607]. 33. Bellini M, Romano DG, Leonini S, Grazzini I, Tabano C, Ferrara M, et al. Percutaneous injection of radiopaque gelified ethanol for the treatment of lumbar and cervical intervertebral disk herniations: experience and clinical outcome in 80 patients. AJNR Am J Neuroradiol. 2015;36(3):600-5. doi: 10.3174/ajnr.A4166. [PubMed: 25395657]. 34. de Seze M, Saliba L, Mazaux JM. Percutaneous treatment of sciatica caused by a herniated disc: an exploratory study on the use of gaseous discography and Discogel((R)) in 79 patients. Ann Phys Rehabil Med. 2013;56(2):143-54. doi: 10.1016/j.rehab.2013.01.006. [PubMed: 23462337]. 35. Touraine S, Damiano J, Tran O, Laredo JD. Cohort study of lumbar percutaneous chemonucleolysis using ethanol gel in sciatica refractory to conservative treatment. Eur Radiol. 2015;25(11):3390-7. doi: 10.1007/s00330-015-3740-1. [PubMed: 25903710]. 36. Volpentesta G, De Rose M, Bosco D, Stroscio C, Guzzi G, Bombardieri C, et al. Lumbar percutaneous intradiscal injection of radiopaque gelified ethanol (“Discogel”) in patients with low back and radicular pain. J Pain Relief. 2014;3(145):2167-846.1000145. 37. Theron J, Cuellar H, Sola T, Guimaraens L, Casasco A, Courtheoux P. Percutaneous treatment of cervical disk hernias using gelified ethanol. AJNR Am J Neuroradiol. 2010;31(8):1454-6. doi: 10.3174/ajnr.A1923. [PubMed: 20053805]. 38. Guarnieri G, Vassallo P, Pezzullo MG, Laghi F, Zeccolini F, Ambrosanio G, et al. A comparison of minimally invasive techniques in percutaneous treatment of lumbar herniated discs. A review. Neuroradiol J. 2009;22(1):108-21. doi: 10.1177/197140090902200116. [PubMed: 24206960]. 39. Gibson JN, Waddell G. Surgical interventions for lumbar disc prolapse: updated Cochrane Review. Spine (Phila Pa 1976). 2007;32(16):1735-47. doi: 10.1097/BRS.0b013e3180bc2431. [PubMed: 17632394]. 40. Weinstein JN, Tosteson TD, Lurie JD, Tosteson ANA, Hanscom B, Skinner JS, et al. Surgical vs Nonoperative Treatment for Lumbar Disk Herniation. JAMA. 2006;296(20):2441. doi: 10.1001/jama.296.20.2441. 41. Papadopoulos D, Kostopanagiotou G, Lemonis A, Batistaki C. Intradiscal combination of pulsed radiofrequency and gelified ethanol for the treatment of chronic discogenic low back pain. Pain Med. 2014;15(5):881-3. doi: 10.1111/pme.12346. [PubMed: 24506167]. 42. Filippiadis DK, Mazioti A, Papakonstantinou O, Brountzos E, Gouliamos A, Kelekis N, et al. Quantitative discomanometry: correlation of intradiscal pressure values to pain reduction in patients with intervertebral disc herniation treated with percutaneous, minimally invasive, image-guided techniques. Cardiovasc Intervent Radiol. 2012;35(5):1145-53. doi: 10.1007/s00270-011-0255-2. [PubMed: 21870208]. 43. Kelekis A, Filippiadis DK. Percutaneous treatment of cervical and lumbar herniated disc. Eur J Radiol. 2015;84(5):771-6. doi: 10.1016/j.ejrad.2014.02.023. 44. Riquelme C, Musacchio M, Mont'Alverne F, Tournade A. Chemonucleolysis of lumbar disc herniation with ethanol. J Neuroradiol. 2001;28(4):219-29. 45. Paradise R, Alexandre A. The different outcomes of patients with disc herniation treated either by microdiscectomy, or by intradiscal ozone injection. 97. Springer; 2005. 46. Simopoulos TT, Kraemer JJ, Glazer P, Bajwa ZH. Vertebral osteomyelitis: a potentially catastrophic outcome after lumbar epidural steroid injection. Pain Physician. 2008;11(5):693-7. [PubMed: 18850035]. 47. Matthew S, Benoy B, Alice H, Joshua L. Epidural fibrosis following percutaneous disc decompression with coblation technology. Pain Phys. 2007;10:691-6. 48. Appleby D, Andersson G, Totta M. Meta-analysis of the efficacy and safety of intradiscal electrothermal therapy (IDET). Pain Med. 2006;7(4):308-16. doi: 10.1111/j.1526-4637.2006.00172.x. [PubMed: 16898940]. 49. Almen A, Tingberg A, Besjakov J, Mattsson S. The use of reference image criteria in X-ray diagnostics: an application for the optimisation of lumbar spine radiographs. Eur Radiol. 2004;14(9):1561-7. doi: 10.1007/s00330-004-2320-6. [PubMed: 15057564]. 50. Fenton A. Louis Levy: A Discography. Vintage Light Music Society; 1975. 51. Freemont AJ. The cellular pathobiology of the degenerate intervertebral disc and discogenic back pain. Rheumatology. 2008;48(1):5-10.